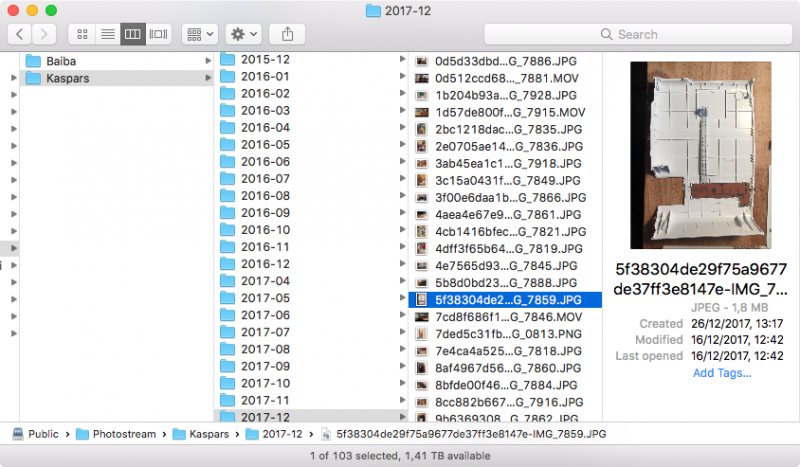 All photos, videos and the associated meta data for the MacOS Photos library is stored in the Photos Library directory under Pictures in your home directory. However, the original files are placed in randomly named directories that are impossible to navigate outside of the Photos app. creates symbolic links to the originals organized in directories named by year and month of the original YYYY-MM and prefixes all filenames with an md5 hash of the file. find items that are not present in one of the libraries.